Stacks supports single sign-on providers for authentication such as OpenAthens, ILS systems, and more. 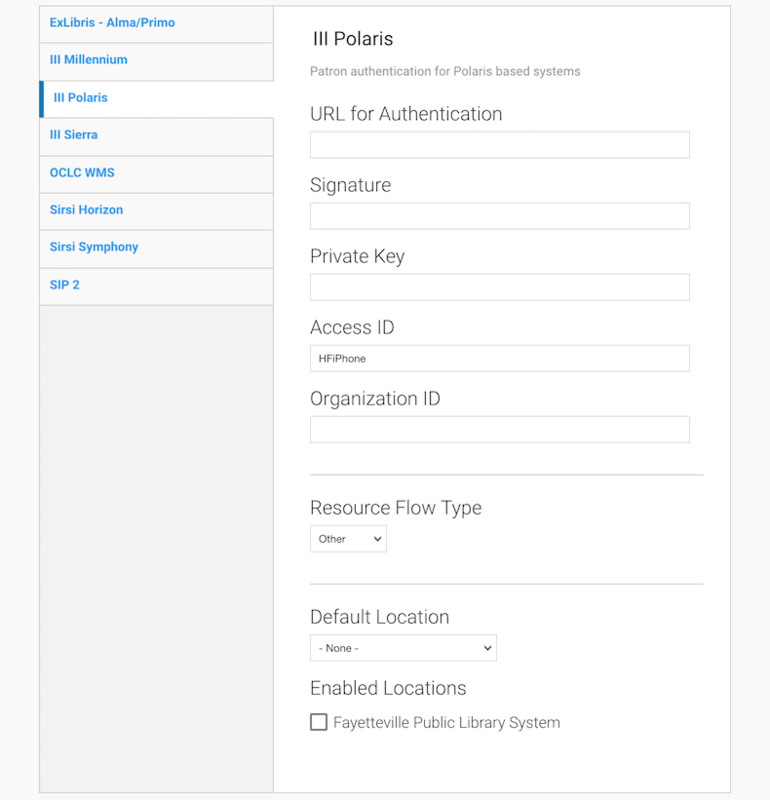 ILS integration works with ExLibris - Alma/Primo, III Millenium, III Polaris, III Sierra, OCLC WMS, Sirsi Horizon, Sirsi Symphony, and SIP2-based systems. ILS integration enables 'My Account' user features including authentication, placing hold requests, canceling hold requests, viewing items out, renewing items out, and viewing fees and fines. ILS integration works with ExLibris - Alma/Primo, III Millenium, III Polaris, III Sierra, OCLC WMS, Sirsi Horizon, Sirsi Symphony, and SIP2-based systems. ILS integration enables 'My Account' user features including authentication, placing hold requests, canceling old requests, viewing items out, renewing items out, and viewing fees and fines. Set Your Authentication System in the drop-down menu to "OpenAthens"
You can manage Patron users manually in Stacks by setting your Authentication System in the dropdown menu to "Internal". Refer to People for more information about creating users and defining user roles in Stacks.